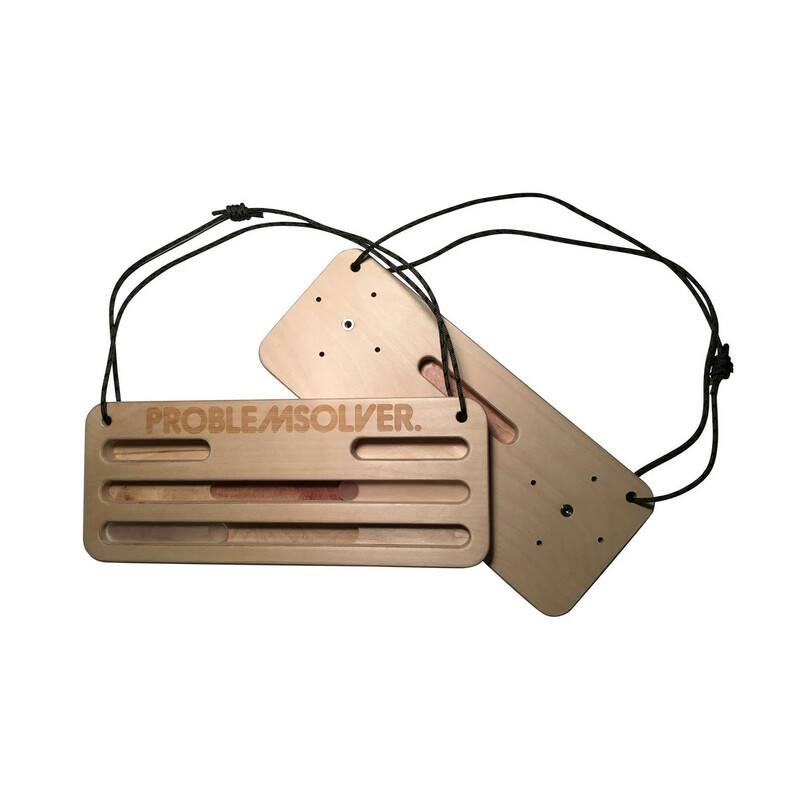 The Training board from Problemsolver is built for training anywhere. It has a cord which you can use to hang the Training board making it great for travel and warming up at the crag. You can adjust the depth or the holds by adding a 3 mm insert so even when you get so strong that the holds are too big for you, you can make them smaller. 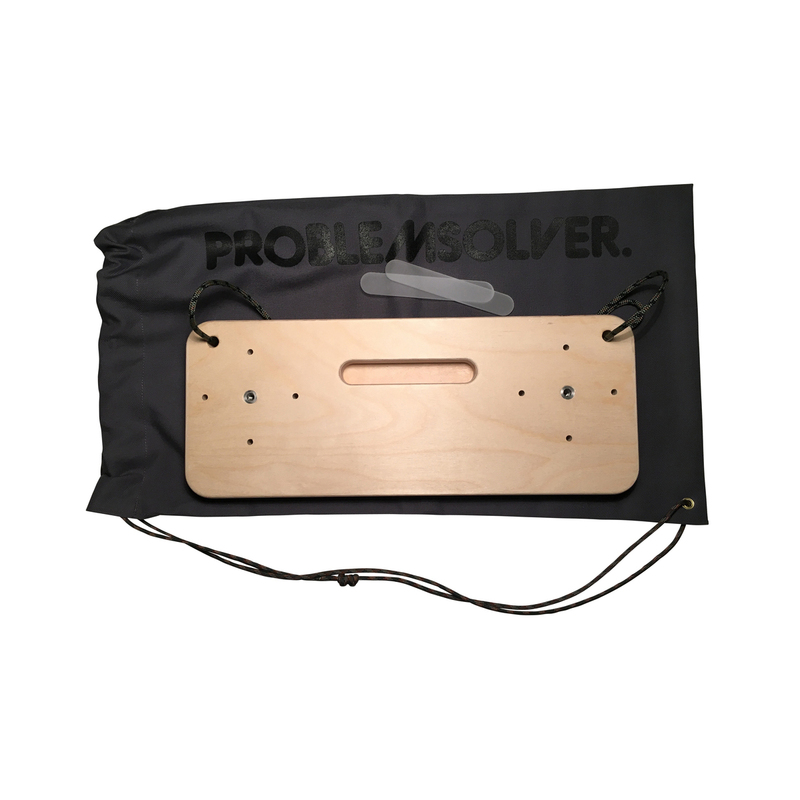 There is a feature on the back of the board that allows you to add holds on yourself, so you can customise it to your needs. There are 3 hanging positions you can hang the Training board in. Neutral, tilt backwards and tilt forwards. 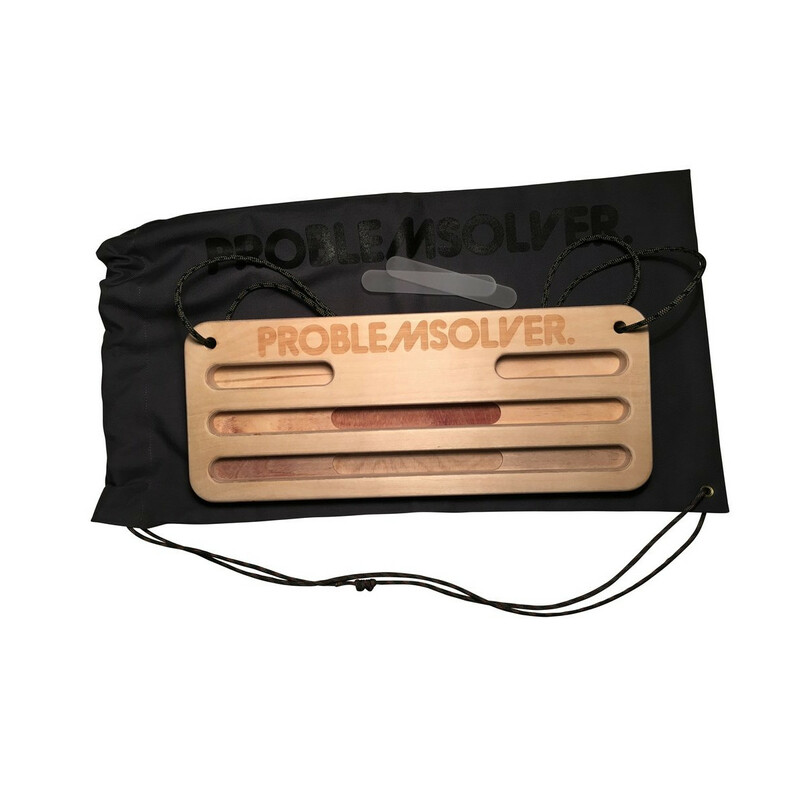 This gives you more training options and the ability to make it easier or harder to hang on the Training board. The training board is made from traceable birch and measures 400 x 160 x 24 mm. The hold sizes are 19 mm, 17 mm, 15 mm, 13 mm and 11 mm. > Made in 100% cotton with a Paracord drawstring.